If more capitalists like him were willing to stand up publicly and defend capitalism, the defense might be less necessary, because eventually the message would get through. More than 14,000 pages of new rules and regulations governing home mortgages have slowed America’s economy by half a percent a year over the past five years, one of America’s most prominent bankers says. 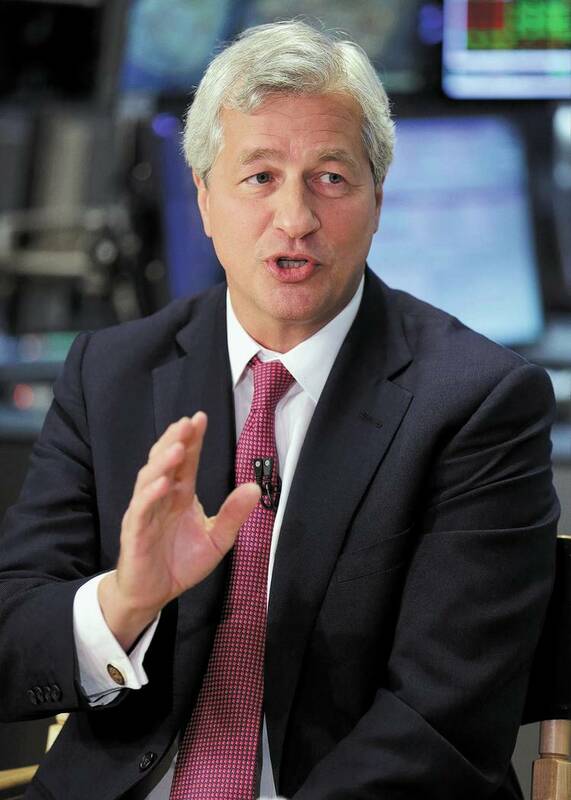 The banker, James Dimon, has been CEO of JPMorgan Chase for more than a decade. He makes the complaint in his annual letter to shareholders. Dimon acknowledges that the financial crisis “was caused in part by poor mortgage lending practices.” But he says the post-crisis changes have gone too far. That has made mortgages more expensive for consumers and made it nearly impossible for lots of people to qualify. “It’s noteworthy that those who lost access to mortgage credit are the very ones who many people want to help — e.g., lower income buyers, first-time homebuyers, the self-employed and individuals with prior defaults who deserve another chance,” he writes. The new mortgage rules, printed out, stand about six feet tall, Dimon writes. He says the problems related to the new rules — some of which still haven’t been finalized — slowed lending by about $1 trillion over five years. That means about 3 million loans were never made. Some of those loans would have gone to buy new homes that, as a result of the financing slowdown, were never built. “Our economists think that $1 trillion of loans could have increased GDP, in each of those five years, by 0.5 percent,” Dimon writes. It’s a classic example that encapsulates so many problems that often come with government regulation. There’s the “unintended consequence” problem. Rules intended to protect would-be homebuyers wind up hurting them instead. There’s the “invisible man” problem. Homeowners getting foreclosed on are more sympathetic and concrete victims than are those who are still renting or living with parents because they weren’t eligible for loans to buy houses that never got built. And there’s the “dull but important” problem. Housing finance regulation gets pushed out of the headlines, and thus off the “must-fix” agendas of politicians, by more contentious issues such as political wiretapping or illegal immigration. Will President Trump listen to Dimon? The market seems to think that he may. JPMorgan Chase’s stock price is already up about 25 percent since before the election, implying investors think the company is worth about $75 billion more with Donald Trump as president than it was with Barack Obama as president. As a couple of bankers recently explained to me, though, the post-election run-up in bank prices is less about the belief that Trump and Congress will roll back regulations than about relief that the they at least won’t make things worse. When businesses or individuals in business do something wrong, “they should be appropriately punished — but not demonized,” he writes. “A strong and vibrant private sector (including big companies) is good for the average American. Entrepreneurship and free enterprise, with strong ethics and high standards, are worth rooting for, not attacking,” Dimon writes. His comments might appear obvious, but, sadly, they need saying. If more capitalists like him were willing to stand up publicly and defend capitalism, the defense might be less necessary, because eventually the message would get through. That would be good not just for bankers but for mortgage applicants, homebuilders, and America overall. Ira Stoll is editor of FutureOfCapitalism.com and author of “JFK: Conservative.” His column appears Sunday.